I recently bought a wrist wrap. It has some nice looking stopper knots on it. 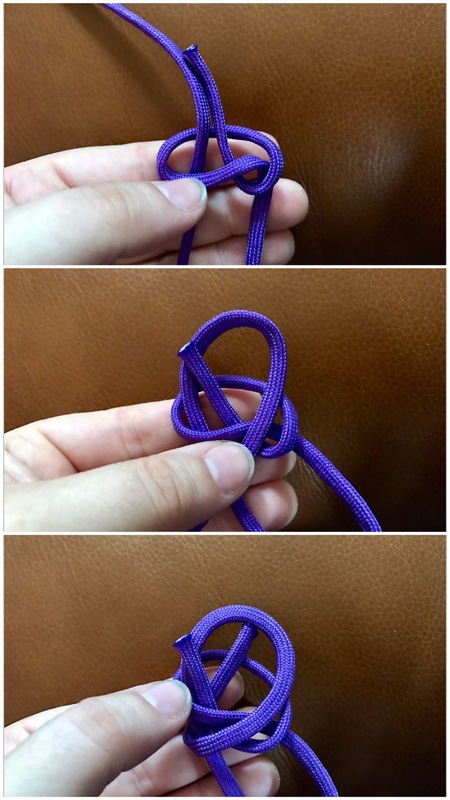 I have no idea what these are actually called, so for now I’m calling it the overhand cross-over knot. The knot looks the same on front and back: one thread crossing over the other. 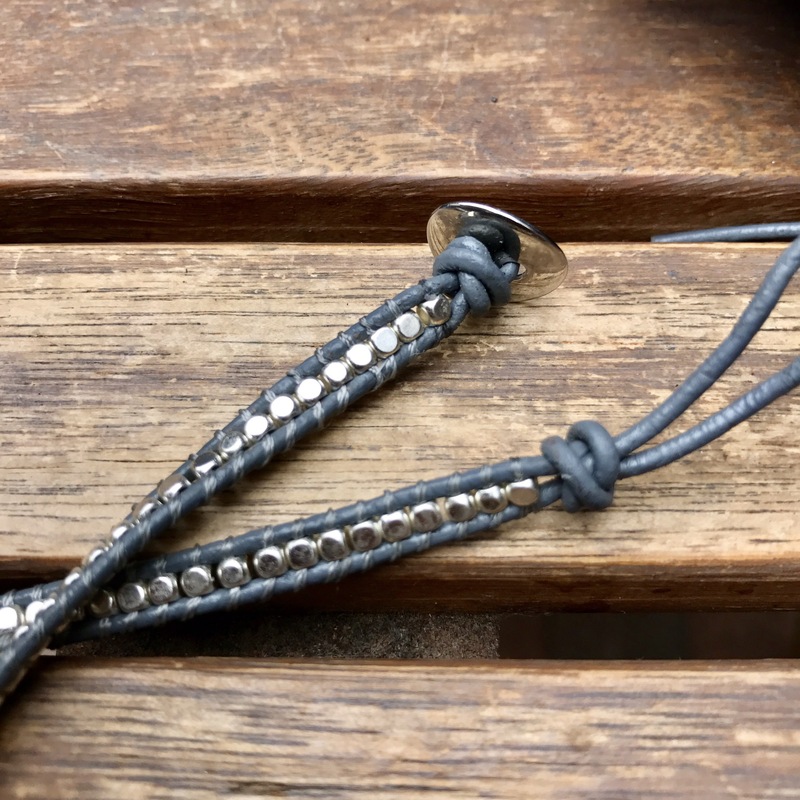 Both ends at the top and bottom of the knot are held together, not separated by any turns in the knot, which makes it nice for a bracelet. After a bit of investigating I thought it might be the Matthew Walker knot, but that knot does have a turn between the ends. 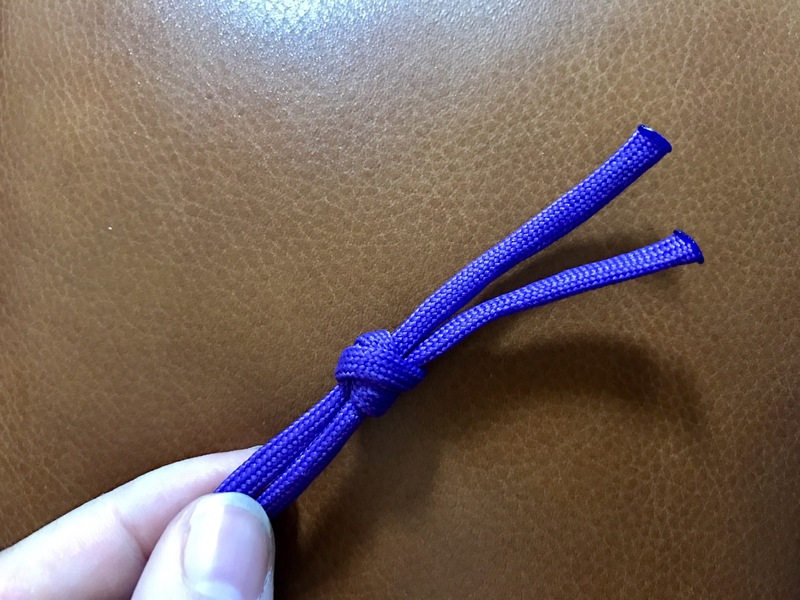 I couldn’t find any reference to what this knot might be, but after hours of noodling I figured out how to tie it. Pass right strand in front of left, around and behind. The strand behind should be higher than the one in front. Loop the working end of the right strand under and through the middle of the loop just created. 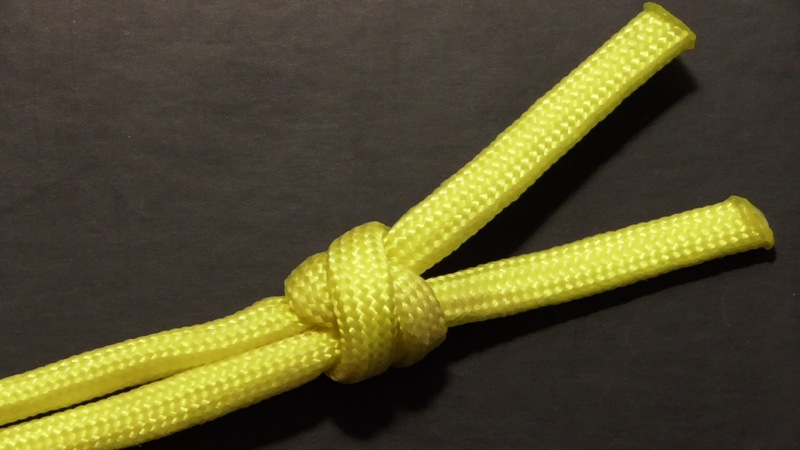 It looks like a twisted overhand knot. With the left strand, pass it behind the top of the right strand, in front of the right strand’s loop and in front of the left standing end. Loop the left working end behind the standing part and through the same hole the right end is in. Pull tight, keeping the strands looking like they’re crossed once in front and back.